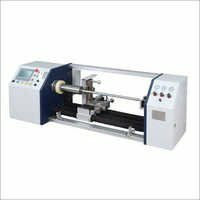 Since the year of foundation 2010, we are committed towards rendering the subjective exhibit of Automatic Hot Stamping Foil Cutter. It is produced under the strict perception of our making so as to persevere experts utilization of high review segments and propelled innovation. Comprehensively utilized for cutting foil as a part of required sizes, this cutter is tried by our quality auditors on a few measures before dispatching at client's end. Also, this Automatic Hot Stamping Foil Cutter can be benefited from us at pocket-accommodating costs. The product is specially designed for various usages and therefore widely applicable in different industries. The product has the property of faster cutting. It is easy to operate and having long functional life. The service life is long and hence it work efficiently for a longer period of time. It is available in a most competitive price in the industry.